The White-tailed Eagle is a very large bird. It measures 66–94 cm (26–37 in) in length with a 1.78–2.45 m (5.8–8.0 ft) wingspan. 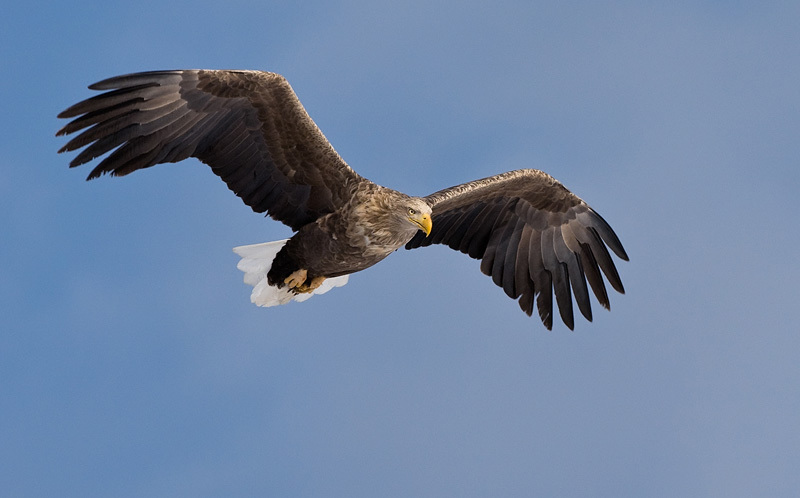 The wingspan, with a midpoint of 2.18 m (7.2 ft), is on average the largest of any eagle. This is why it's sometimes called a 'flying barn door'. Photographed near the East coast of Hokkaido, Japan.